BoomsReport.com -- Offline. An archive from 2013 shows the homepage contained a gallery of news headlines. BoomsUp.com -- Offline. In 2013, the About page said: "Boomsup is a platform delivering fancy news on science, technology and entertainment." The homepage in 2013 contained a gallery of news stories with tabs for "Tech," "Science," "Entertainment," "OMG," and "Offbeat." There were points scores and 'thumbs up'/'thumbs down' buttons next to each story. CoolAPic.com -- Offline. This appeared to be a Pinterest-style site where people could share links. The About page in 2016 said: "Coolapic is a social platform to share your cool photos, images and videos." Deog.com -- This company provides branding, web design, packaging, and print design services. The homepage shows the address 61 Broadway, New York, NY, 10006, and the phone number 646-493-3251. The website's footer says: "Copyright © Deoworks 2005-2018 All rights reserved." The New York entity "Deog Inc." was filed on November 12, 2015. The Registered Agent is David Enwright. The DOS Process Address is 61 Broadway, Suite 800, New York, NY, 10006. Deographics.com -- The site appears to be offline. Archives show Deographics specialized in designing websites. The Contact page in July, 2010 showed two U.S. addresses: 643 Mission Street, 2nd Floor, San Francisco, CA, 94105 (415-348-9200 / 415-398-3802), and 22 Cortlandt Street, 21st Floor, New York, NY, 10007 (646-420-4104). The Contact page in August, 2011, showed the e-mail addresses diana@deographics.com and michaellee@deographics.com. The Contact page in December, 2011, showed the address 33 Whitehall Street, Level 7, New York, NY, 10004, along with the phone number 415-374-0436 (for the San Francisco office) and the e-mail address info@deoworks.com (also for the San Francisco office). The Contact page in February, 2012, showed the addresses 391 Sutter Street, 2nd Floor, San Francisco, CA 94108 (415-691-9550) and 1 East Erie Street, Suite 200, Chicago, IL, 60611 (312-933-3702). The Contact page in September, 2013, showed the address 33 Whitehall Street, 9th Floor, New York, NY, 10004 (646-494-2432). The Contact page in February, 2014, showed the address 27 Maiden Lane, Suite 700, San Francisco, CA, 94108 (415-234-3018). The Contact page in April, 2014, showed four addresses: 48 Wall Street, 11th Floor, New York, NY, 10005, 49 Powell Street, Suite 400, San Francisco, CA, 94102, and 30 North Michigan Ave, Suite 629, Chicago, IL, 60602. and 801 S. Garfield Ave, Suite 328, Alhambra, CA, 91801 (626-999-3420). The Contact page in May, 2014, showed the phone number 415-830-9317. The Contact page in January, 2015, showed the address 1 Hallidie Plaza, Suite 300, San Francisco, CA, 94102, and the phone number 415-850-6685. The New York entity "Deographics" was filed on March 31, 2009. Its status is "INACTIVE - Dissolution by Proclamation / Annulment of Authority (Jan 25, 2012)." Its DOS Process Address was 100 Wall Street, 2nd Floor, New York, NY, 10005. Deoworks.com -- The About page says: "Deoworks is a full-service trade show exhibits and branding company." The Contact page shows nine addresses worldwide. The first address listed is 2549 Route 22, Dover Plains, NY, 12522 (646-493-3251). EveryMarket.com -- An online shopping portal, selling household items like wine glasses, bed frames, hair brushes and sound speakers. The New York entity "Everymarket Inc." was registered on April 15, 2014. The CEO is Hyourggun Kwon, and the entity's address is 535 Fifth Avenue, 4th Floor, New York, NY, 10017. The California entity "Everymarket Inc" was registered on March 1, 2016. Its jurisdiction is in New York. The paperwork from 2016 said the CEO was David Enwright, and the entity's address was 61 Broadway, Room 800, New York, NY, 10004. The paperwork from 2017 said the CEO is Hyounggun Kwon, and the updated address is 535 Fifth Avenue, 4th Floor, New York, NY, 10017. FortisBusinessCenter.com -- Offline. In 2010, the site was advertising "virtual office" services. The footer said: "Copyright © 2010 Fortis Business Center by Oikos Networks Inc." The New York entity "Fortis Business Center Inc." was filed on December 29, 2011. Its CEO is Jungmi Lee. Its DOS Process Address is 33 Whitehall Street, 9th Floor, New York, NY, 10004. FortisCenter.com -- The URL now redirects to FortisGroup.com. In 2010, the Contact page showed the address 22 Cortlandt Street, New York, NY, 10007, and the phone number 646-462-4000. FortisGroup.com -- The About page says: "Fortis Group is a strategic partner and a global network of promising startups focused on business growth and changing the world." In January, 2014, the homepage showed the address 111 Wall Street, New York, NY. In May, 2014, the homepage showed the address 33 Whitehall, 9th floor, New York, NY, 10004. In 2015, the homepage showed the address 61 Broadway, 8th Floor, New York, NY, 10006. In 2016, the homepage showed the address 33 Whitehall Street, 8th Floor, New York, NY, 10004. The current homepage shows the address 61 Broadway, 2nd Floor, New York, NY 10006. GNChef.com -- Offline. This was an online vendor which sold kitchen products. From 2014 to 2016, the featured product on its homepage was a "Spiral Slicer." The California entity GNChef was filed on January 16, 2015. The entity address was 235 Montgomery St, Suite 350, San Francisco, CA, 94104. Its status is "Dissolved." 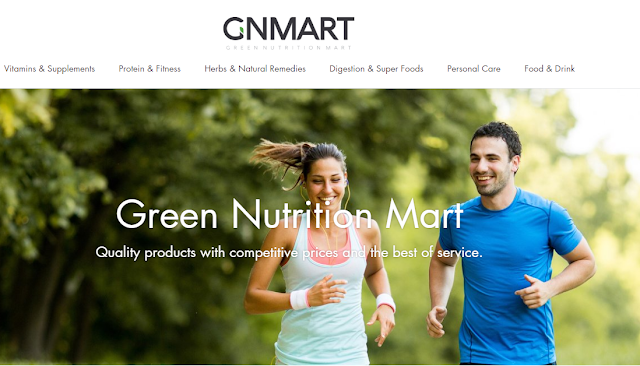 GNMart.com -- An online vendor selling herb, supplements, and other health products. The Contact page shows the the phone number 845-350-2657. The New York entity GNMart LLC was filed on August 7, 2015. The DOS process address is 61 Broadway, Floor 1, Suite A, New York, NY, 10006. IBPort.com -- An online shopping portal. A Contact page from 2016 showed three addresses in the U.S., as well as a dozen addresses overseas. The U.S.addresses were: 235 Montgomery St. Ste 350, San Francisco, CA (415-291-8811), 501 Broad Avenue, #13, Ridgefield, NJ (201-943-7045), and 61 Broadway, Suite 800, New York, NY 10005 (646-661-1786). The California entity "IBPort Inc" was incorporated on March 8, 2012. The incorporator was Jonathan Yejun Park. IBSpot.com -- Offline. Archives show IBSpot offered a variety of web services, including designing, branding, custom software development, SEO, and marketing. The New York entity "IBSpot Inc" was created on March 31, 2009. Its DOS Process Address is: 61 Broadway, New York, New York, 10006. The California entity "IBSPOT" was registered on August 1, 2007. Its CEO was listed as Johnathan Davis. Its address was listed as 88 Kearny Street, #1630. Its status is "SOS/FTB SUSPENDED." IBTimes.com -- This is the homepage for the International Business Times. The New York entity "IBT Media Inc." was created on March 7, 2006. The entity was previously known as "The Business Herald Inc.," "The International Business Times Inc.," "IBT Media Inc.," and "Newsweek Media Group Inc." Its DOS Process address is 7 Hanover Square, 5th Floor, New York, NY, 10004. Its CEO is Dev Pragad. IBWire.com -- IBWire offers PR and Advertising services. The Contact page shows the address 61 Broadway, 8th Floor, New York, NY, 10006, and the telephone number 917-463-3781. A Contact page from 2009 shows the address 550 Montgomery Street #208, San Francisco, CA 94111. The New York entity "IBWire, Inc." was created on December 29, 2009. Its DOS Process address is 120 Wall St, Suite 503, New York, NY, 10005. IVCPost.com -- Redirects to VCPost.com. Leez.com -- An upscale fashion store located at 37 Trinity Place, New York, NY, 10006. The store's phone number is 646-546-5652. The New York entity "Leez Inc." was filed on July 17, 2012. Its DOS Process Address is 33 Whitehall Street, Floor 9, New York, NY, 10004. It was originally named "Elleez Inc."
OikosNetworks.com -- The homepage says: "We are dedicated to helping customers make Cloud work, and are your go to partner for your entire Cloud strategy." The Contact page shows the address 80 Broad Street 5th Floor, New York, NY, 10004, and the phone number 646-847-7170. In 2010, the Contact page showed the address 22 Cortlandt Street, 21st Floor, New York, NY, 10007, and the phone number 646-461-3061. In 2011, the Contact page showed the addresses 33 Whitehall Street, 8th Floor, New York, NY, 10004, and 643 Mission Street, San Francisco, CA, 94105, and the phone number 212-440-8279. In 2012, the Contact page showed the phone number 917-547-0540. In 2013, the Contact page showed the address 33 Whitehall Street, 9th Floor, New York, NY, 10004, and the phone number 646-493-2112. The New York entity "Oikos Networks Inc." was filed on September 9, 2009. Its CEO is Hayson Tsang. Its DOS Process Address is (Jessica Yu) 355 South End Ave, #3C, New York, NY, 10280. Its Principal Executive Office Address is 61 Broadway, Suite 800, New York, NY, 10006. PEPost.com -- Offline. This site contained financial news articles. The name stood for "Private Equity Post." An "About" page from 2014 says the managing editor was Sonny Kwon. A Contact page from 2014 shows the address 14 Wall Street, Floor 20, New York, NY, 10004. 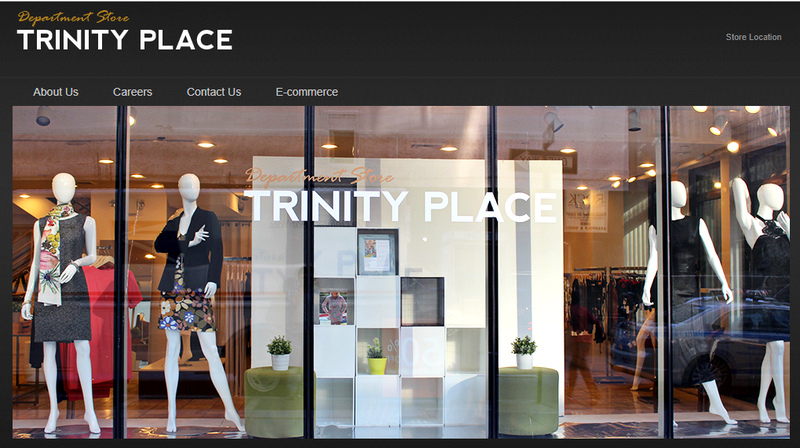 TrinityPl.com -- Homepage for the Trinity Place Department Store. The store specializes in boutique fashion. The store is located at 37 Trinity Place, New York, NY 10006. The store's "global headquarters" is located at 61 Broadway, Fl 8, New York, NY 10006. The store's phone number is 646-201-5484. TrinityPlaces.com -- Redirects to TrinityPl.com. VCPost.com -- This is a financial news site. The name stand for Venture Capital Post. The site's editor-in-chief is listed as Joel Bignell. The top story on the homepage is from August, 2018. The Contact page shows the address 61 Broadway, Room 800, New York, NY 10006. In 2016, the Contact page showed the address 14 Wall Street, Floor 20, New York, NY 10004, and the phone number 917-720-5204. In 2013, the Contact page was apparently showing the address and phone number for "IBInvestor Inc." The address was 14 Wall Street, New York, NY, 10004, and the phone number was 212-225-6594. Verecom.com -- Verecom provides web services. The homepage has tabs for "E-Business Solutions," "Cloud Service," and "Advanced Technology." Their location is 61 Broadway, Suite A., New York, NY 10006. Their phone number is 475-218-8623. The New York entity "Verecom Corporation" was filed on December 15, 2015. Its registered agent is David Enwright. Its DOS Processing Address is 61 Broadway, Room 800, New York, NY, 10006. The California entity "Verecom Technologies" was registered on January 24, 2002. Its status is "Dissolved." In 2013, the the CEO was listed as Grace Jihee Yu, and both Hosea Zhang and David Enwright were listed as directors of the company. In 2014, the CEO was listed as Sophia Jihee Zu, and Hailong Zhang was listed as the company's secretary. Verelink.com -- The About page says: "Verelink Incorporated is a server solutions company dedicated to providing quality services for those who wish to develop an Internet presence since 2006." In 2007, the Contact page showed the address 631 Howard Street, Suite #302, San Francisco, CA, 94105, and the phone number 415-856-0980. In 2008, the Contact page showed the address 643 Mission Street, San Francisco, CA, 94105, and the phone number 415-369-9877. The entity "Verelink" was registered in California on April 28, 2006. The paperwork from 2015 listed Jessica Yu as CEO, with the corresponding address of 101 California Street, Suite 2710, San Francisco, CA, 94111. In 2017, the paperwork listed Hyounggun Kwon as the CEO, with the corresponding address of 3156 Route 22, Apt. A, Dover Plains, NY, 12522. The current mailing address for Verelink is 201 Spear Street, Suite 1100, San Francisco, CA, 94105. VineCenter.com -- The homepage shows prices for virtual office services, such as mail and voice messaging. The footer on the homepage says: "Copyright © 2011 Vine Business Center International. All Rights Reserved. Oikos Networks Inc." The Contact page shows the address 22 Cortlandt Street, New York, NY, 10007, and the phone number 646-462-4000. " Vuuo.com -- Offline. Vuuo is (or was) a video-hosting platform. A Contact page from August, 2017, shows the address 61 Broadway, Suite 800, New York, NY, 10006. The New York entity "Vuuo Inc." was created on August 25, 2015. The Registered Agent is David Enwright. The DOS Process Address is 33 Whitehall St., 9th Floor, New York, NY, 10004.